The “our beef for your chicken deal” hatched by President Donald Trump with the People’s Republic of China last May appears to be on track. 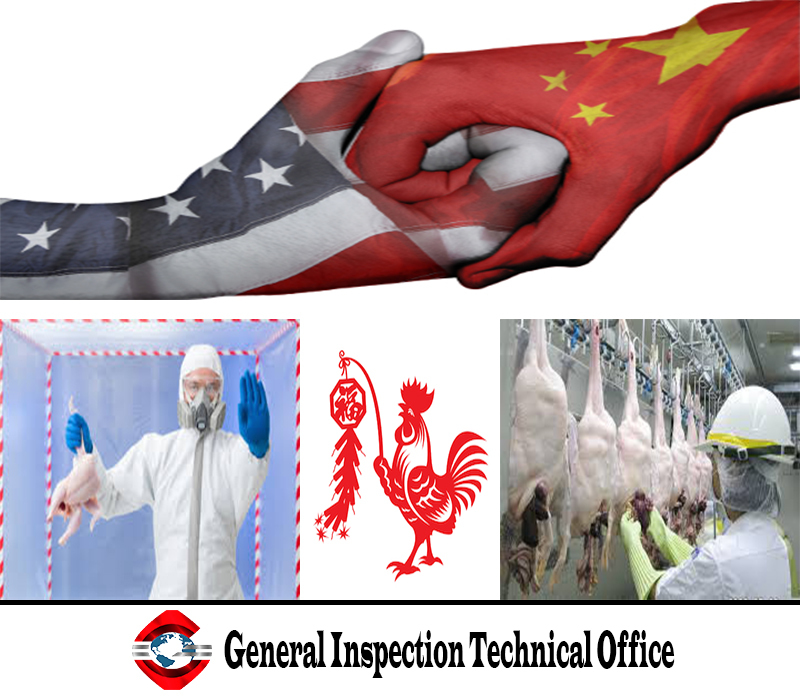 USDA’s Food Safety and Inspection Service (FSIS) yesterday quietly released the final audit report showing China’s inspection system for poultry processing is equivalent to U.S. systems and standards. An onsite review was conducted from July 11-22, 2016. At the moment, China may export cooked poultry products that are only processed and packaged but not slaughtered in the PRC. It first must purchase the raw chickens from the United States, Canada or Chile. USDA released the clean audit report one month after the comment period closed on a proposed rule that will allow China to not only process and package cooked chicken, but to export the chickens, ducks and turkeys it raises. When USDA pulls the trigger on the new rule, the $30 billion American poultry market will be open to the world’s second largest poultry producer. China is second to the U.S. Beef from U.S. producers has already re-entered China’s market. It halted U.S. beef imports in 2003 after Bovine Spongiform Encephalopathy (mad cow disease) infected a single animal in Washington State. China’s exports of cooked chicken under the current requirement that the poultry must come from the U.S., Canada, or Chile haven’t amounted to much. Qingdao Nine-Alliance Group, one of the largest privately owned chicken companies in China, claimed last spring to be the first exporter. There was no country of origin labeling, and the Nine-Alliance declined to name the brand it was supplying. Just as the “beef-for-chicken” deal excites free traders, it concerns serious food safety advocates. The Center for Foodborne Illness Research & Prevention (CFI) is among those opposing the new rule. “CFI has opposed the import of Chinese chicken for over a decade because of this country’s questionable food safety record and its lack of rigorous on-farm management practices,” the Grove City, the PA-based organization wrote in it sofficial comments on the rule. Potentially harmful sauces made with rock salt and recycled spices. Maschhoff said pork producers “want the United States to remain the gold standard in the world for food safety.” He said his organization supports the rule because it cannot find scientific grounds on which to oppose it. FSIS auditors inspected four Chinese poultry facilities, three in the Shandong Province and one in the Anhui Province. Two microbiology laboratories, one each in Shandong and Anhui, were also inspected. FSIS plans annual equivalency reviews of China’s food safety systems for meat and poultry products. The agency may order so-called “secondary inspections” of meat imports at U.S. ports of entry.